To clean the mat simply wipe the cover with a cloth and soapy water, then rinse with clean water before use. 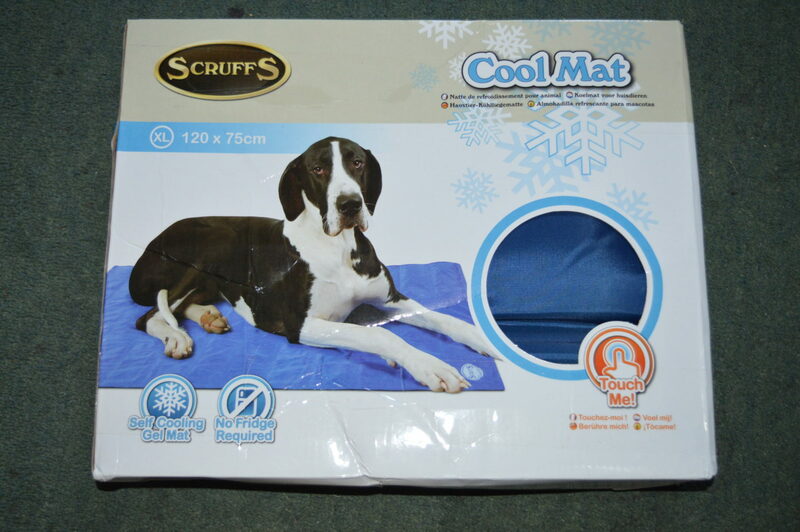 Available in four sizes, including x-large, the Scruffs Cool Mat is great for dogs that like to sprawl. 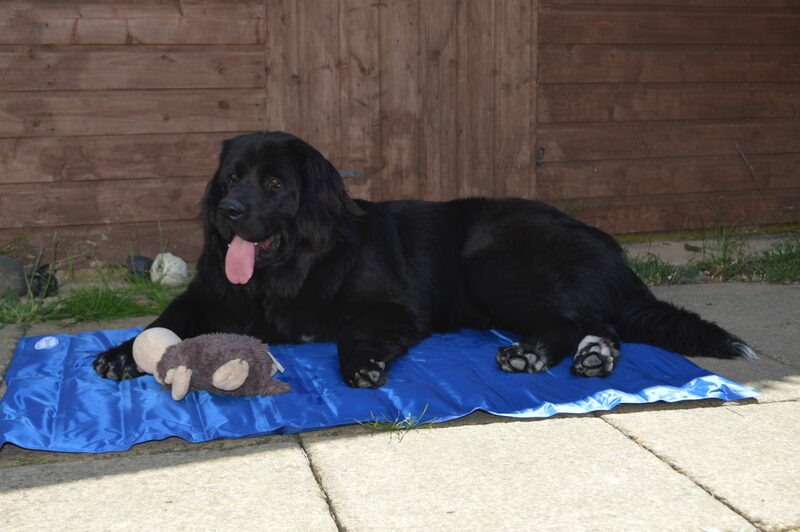 The mat ranges in size from Small (50cm x 40cm) up to XL (120cm x 75cm ), I was a little unsure if it would be big enough for Merrie as she does like to sprawl, but on this occasion she seems to love the coolness on her belly and happily lazes on it in the shade of the shed. 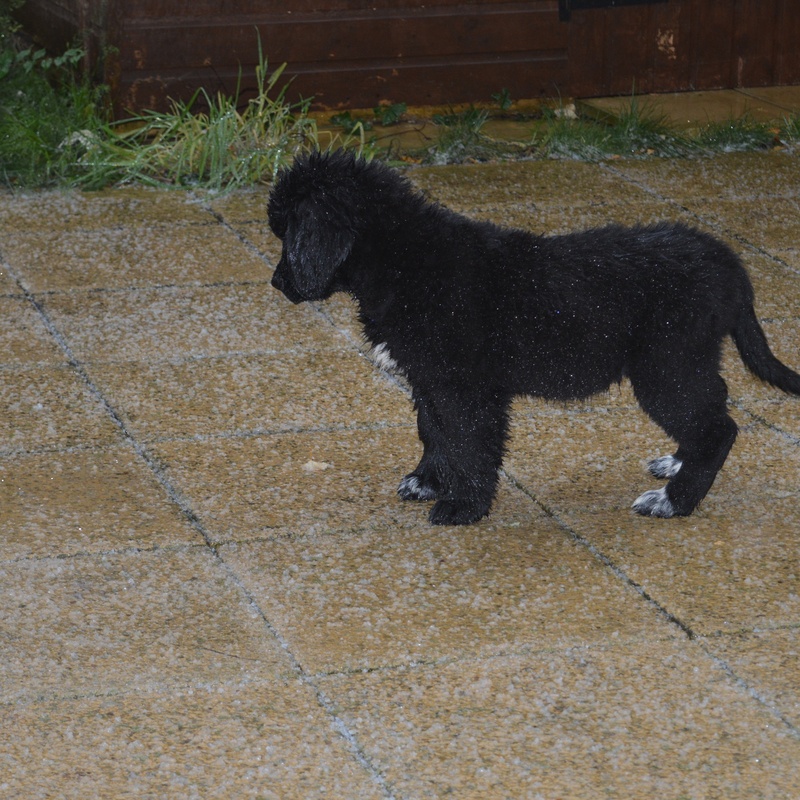 I was a little concerned to start with, although Merrie is a 40kg dog, she is only still a puppy, a fact that many people forget when we are out on walks and she gets a little bouncy!! 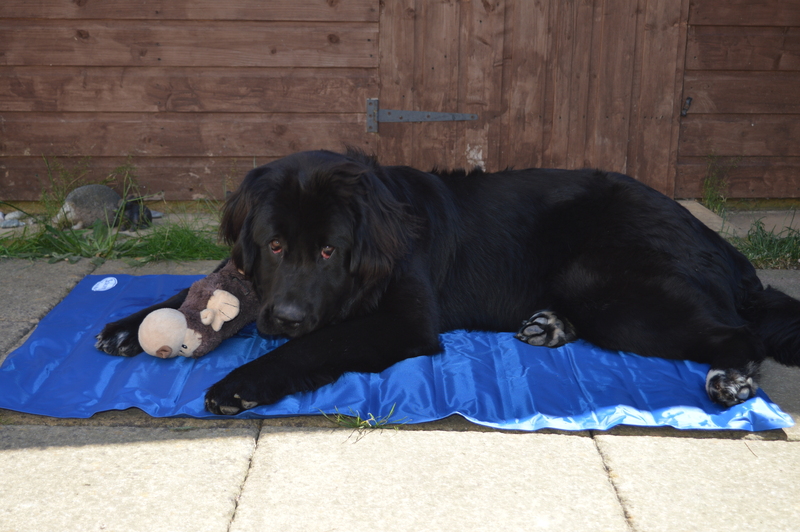 And, like all puppies, she does like to chew, luckily she seems to like the cool mat too much to chew it, although she does seem to love to lick it! Merrie is always looking for ways to keep cool, from jumping in the children’s paddling pool, regardless of how many of them are in there! 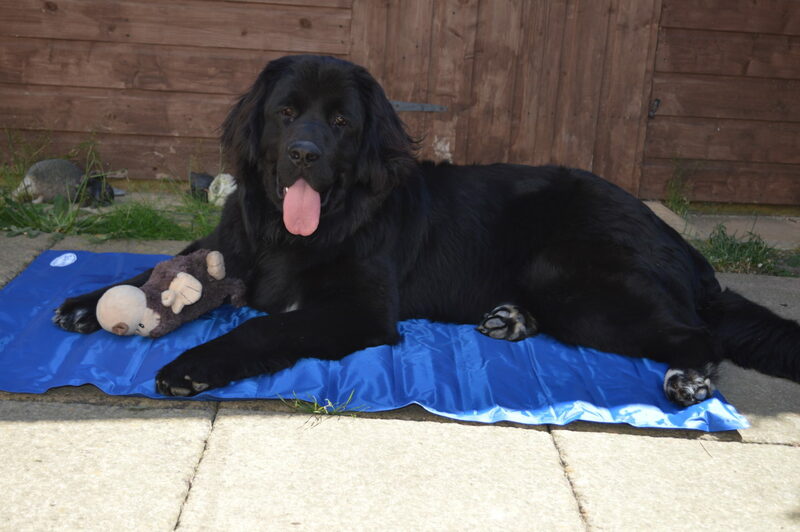 Running round the garden with the sprinkler in her mouth or just sitting barking next to the outdoor tap..
Thankfully the Cool Mat is a little bit easier solution and doesn’t make anywhere near as much mess as the other three options! 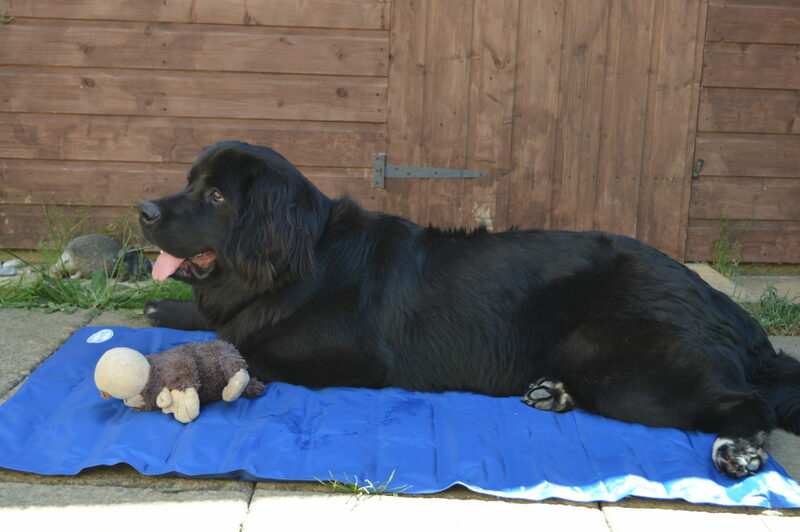 It is an excellent price, less than £20 to have a happy cool dog that loves you even more! Priceless. For anyone who has a dog suffering in this heat, go and purchase one NOW! 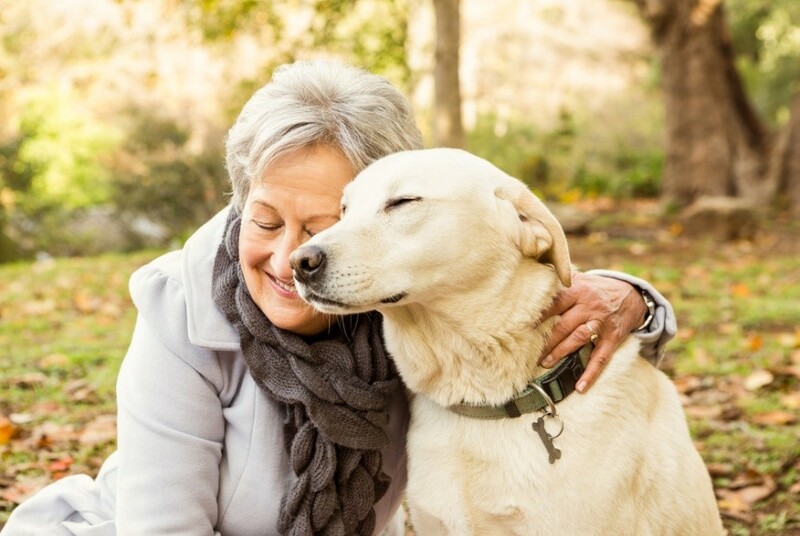 Check out their other fab products, so many lovely beds for Cats and Dogs. 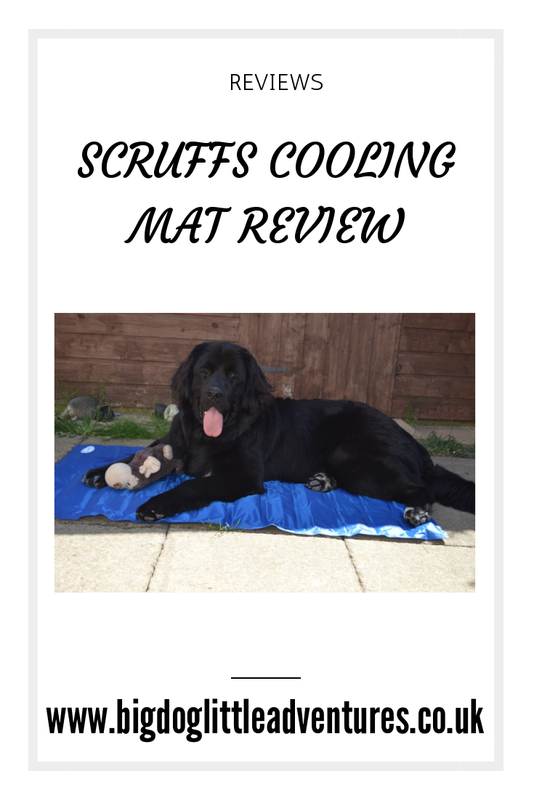 We were provided with a Cooling Mat for the purpose of this review, all thoughts and opinions are out own.